From the bestselling author of The Chronicles of St Mary's. 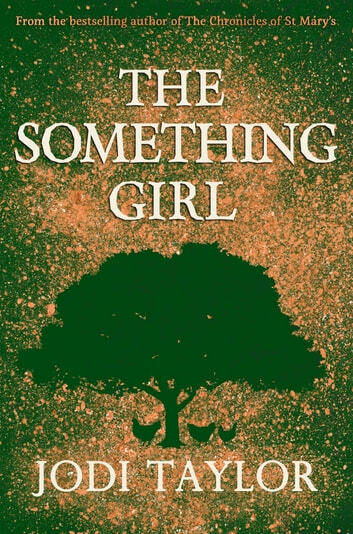 The Nothing Girl has grown up… It’s life as usual at Frogmorton Farm – which is to say that events have passed the merely eccentric and are now galloping headlong towards the completely bizarre. Once again Jenny struggles to stay afloat in the stormy seas of matrimony with her husband, Russell Checkland, together with an unlikely mix of Patagonian Attack Chickens, Jack the Sad Donkey, and Mrs Crisp’s mysterious boyfriend. The old favourites are still around, of course. There’s Marilyn the Omnivorous Donkey, Russell’s ex-girlfriend Don’t Call Me Franny, and the neurotic Boxer, currently failing to deal with butterfly trauma. So nothing much is new … except for the mysterious figure dogging Jenny’s steps and who, if she didn’t know better, she would swear was her sinister cousin Christopher, last seen being hurled from the house by her wayward husband. He couldn’t possibly be stupid enough to come back and try again … Could he?